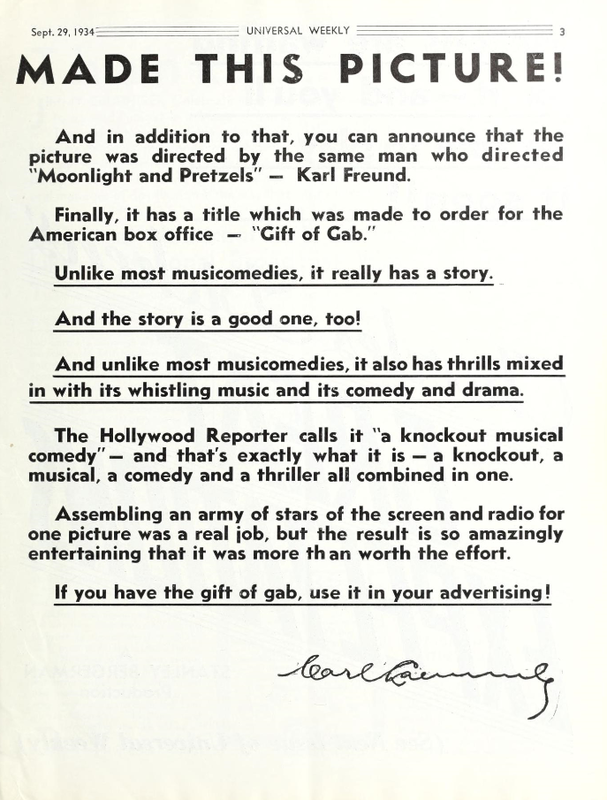 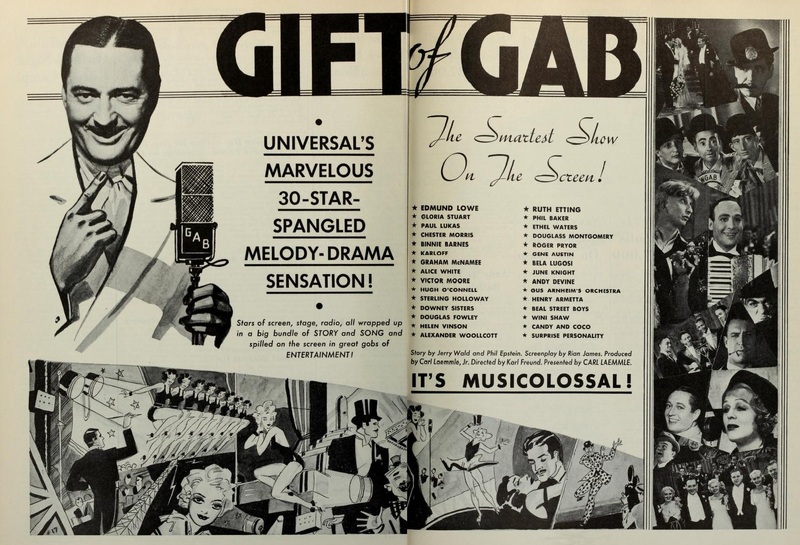 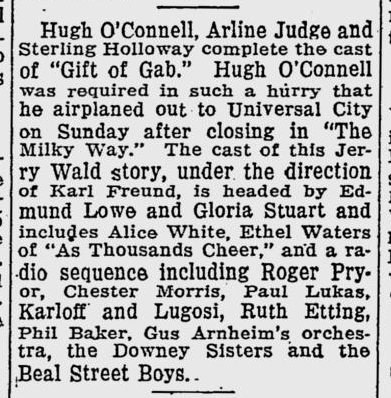 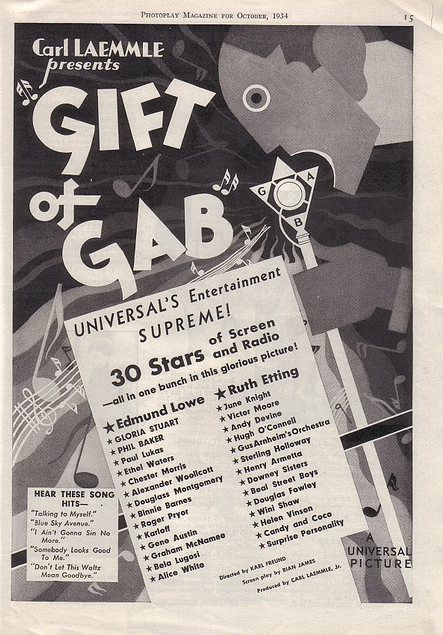 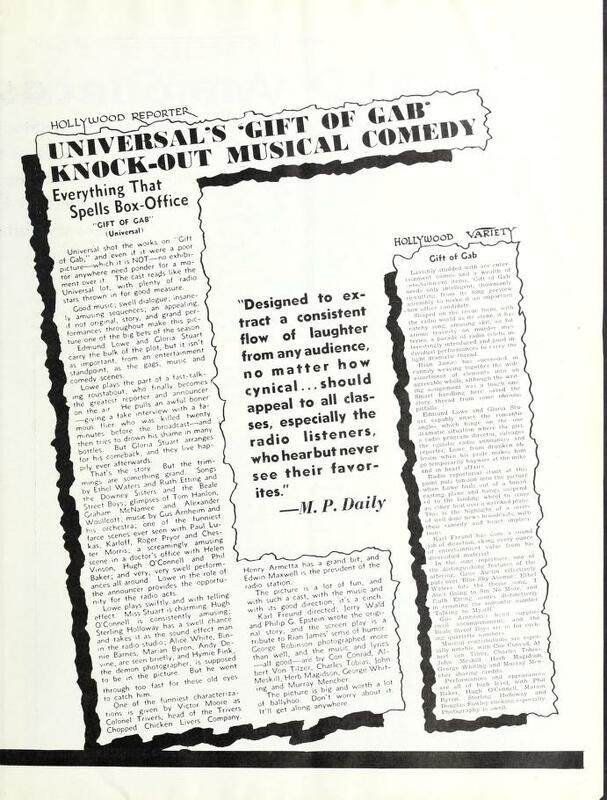 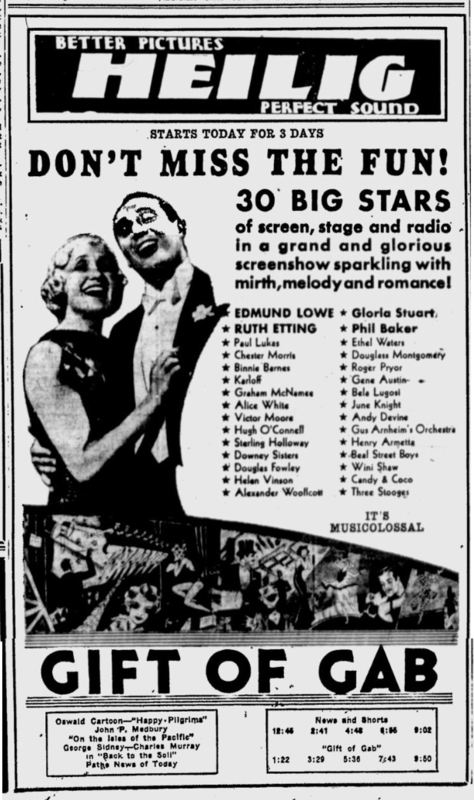 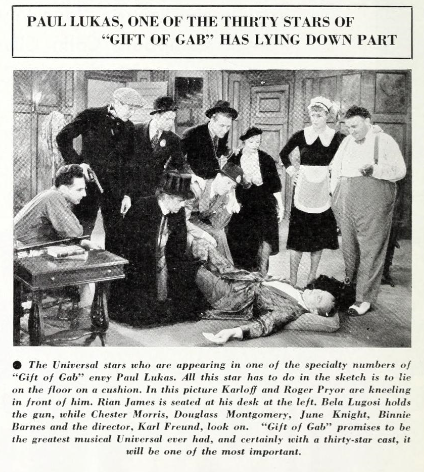 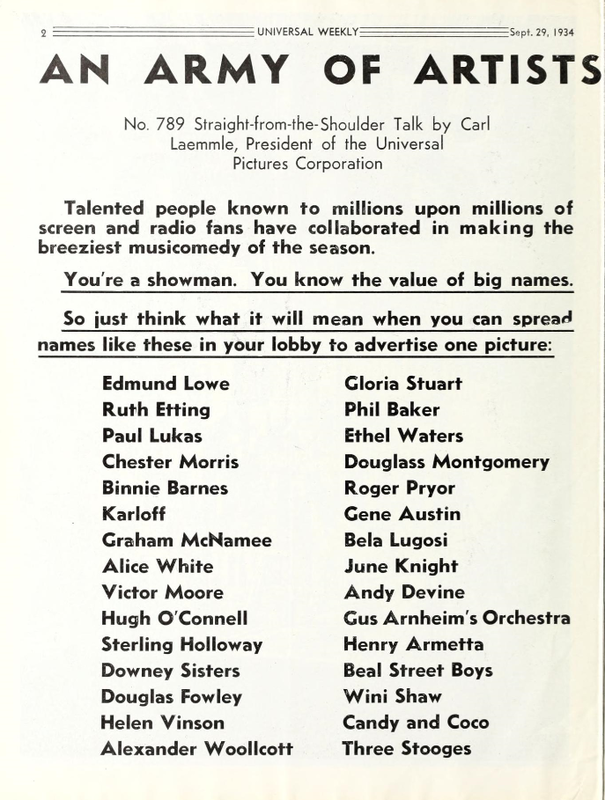 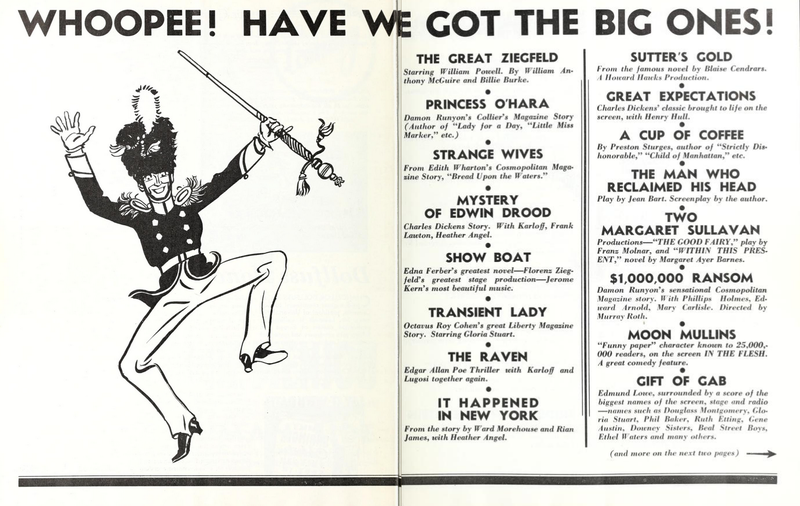 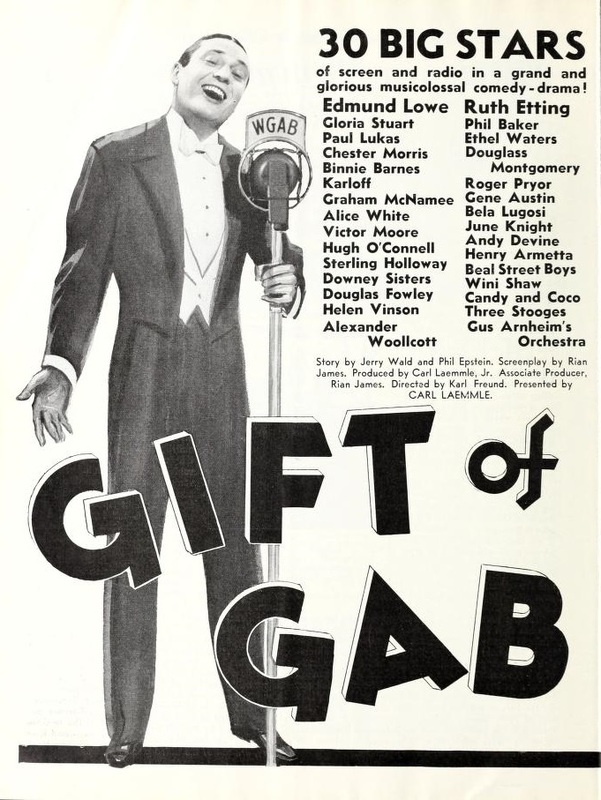 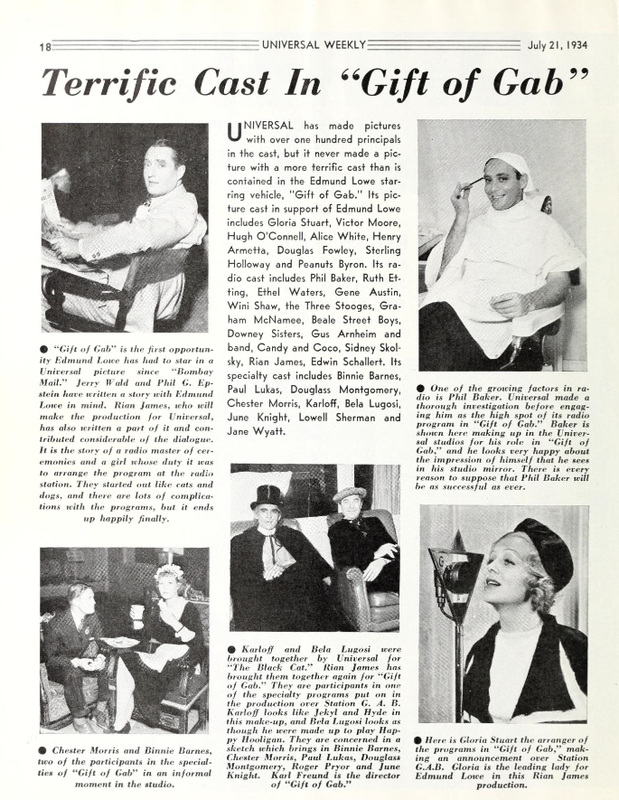 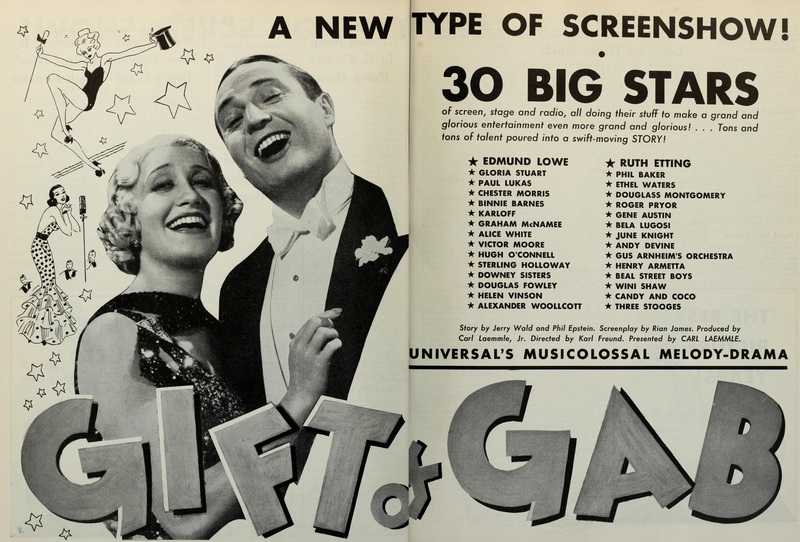 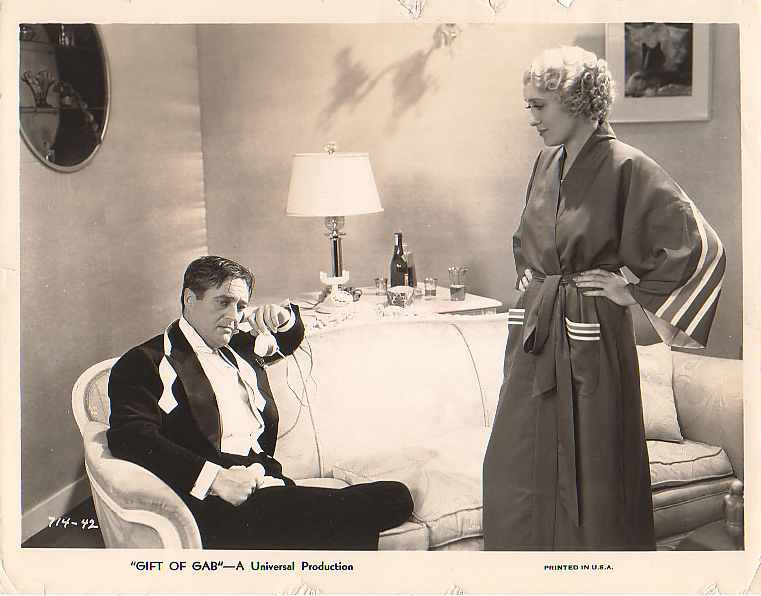 An all-star vehicle featuring radio, music and film stars, Gift of Gab featured Bela Lugosi and Boris Karloff in cameo roles in a short radio murder mystery skit. 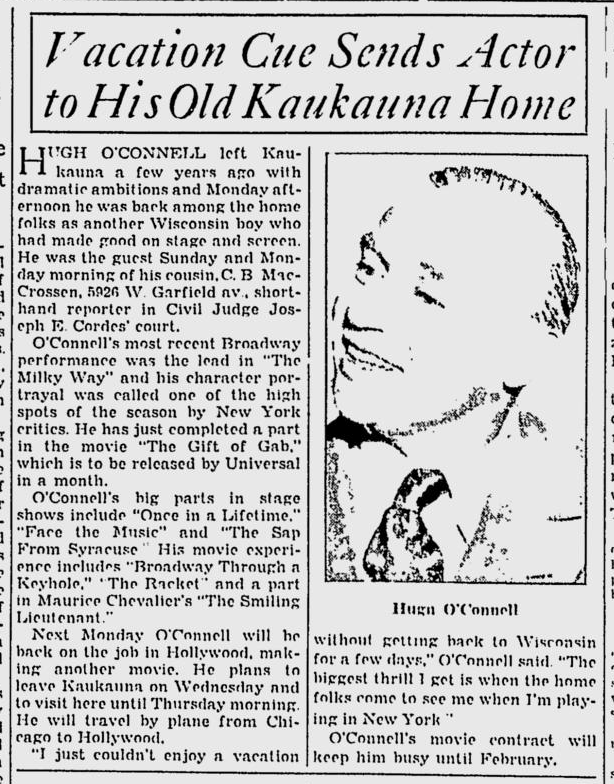 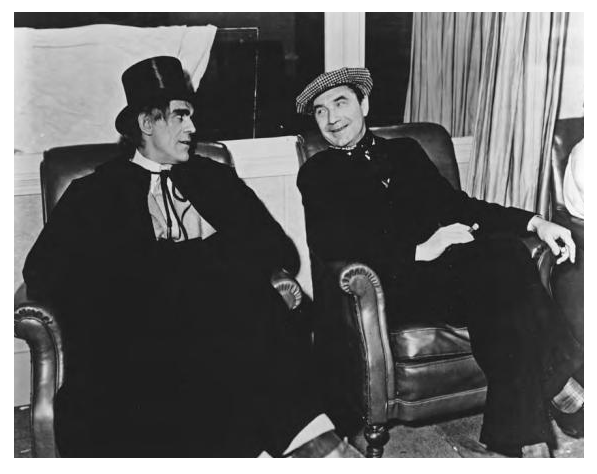 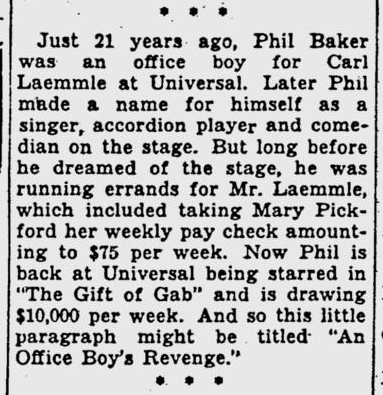 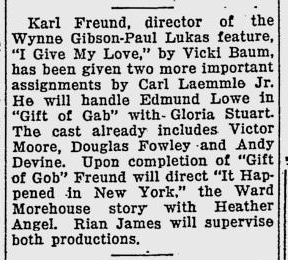 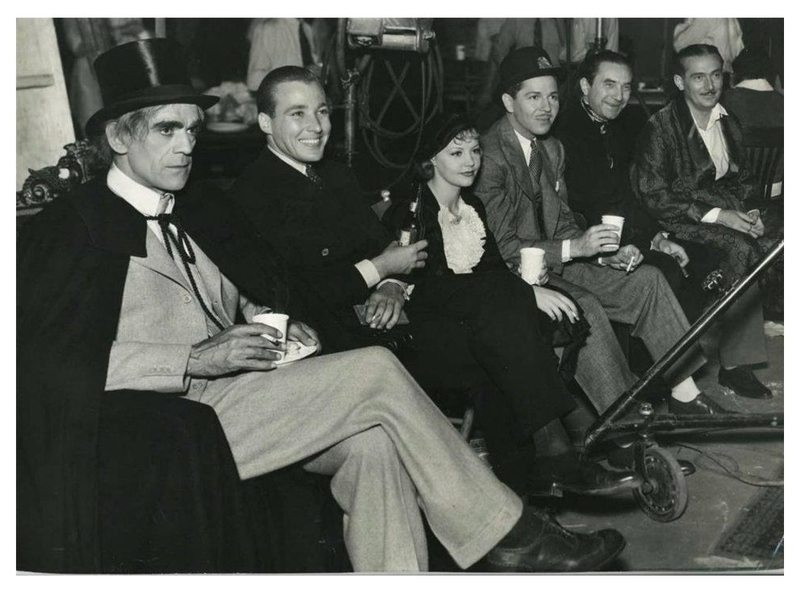 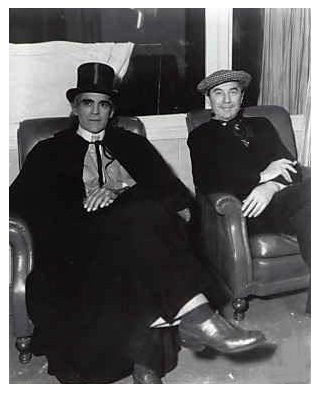 Lugosi filmed his part during the making of the serial The Return of Chandu (1934). 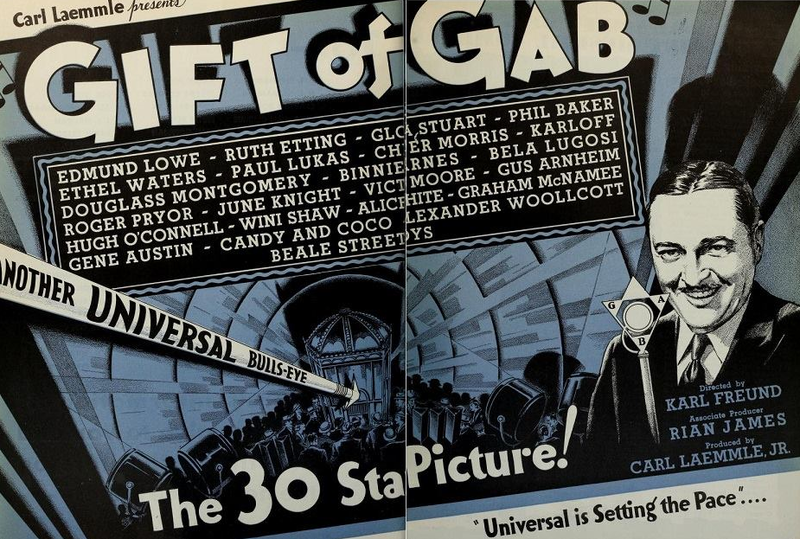 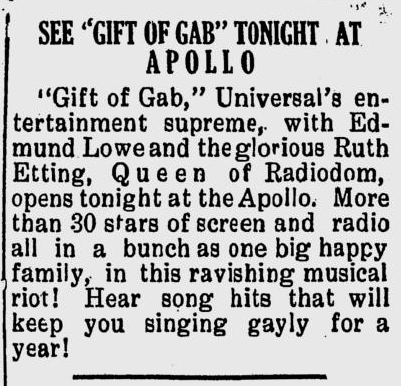 Gift of Gab also featured Mr. Jiggs, the pairs feline co-star from The Black Cat. 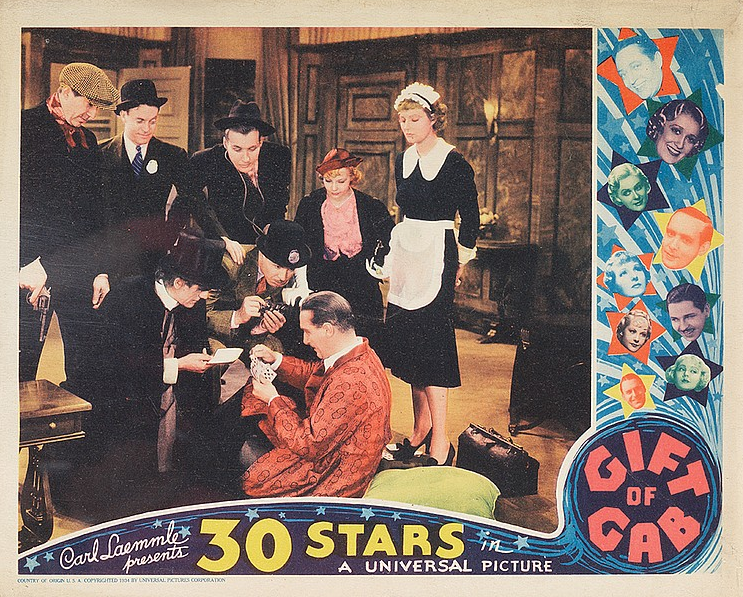 The film’s star, Edmund Lowe, also appeared with Lugosi in The Silent Command (1923), Women of All Nations (1931), Chandu the Magician (1932) and Best Man Wins (1935).